Mount Abu is famous for the variety of rock formation amongst which Toad Rock is very well known fascinating place to be around. 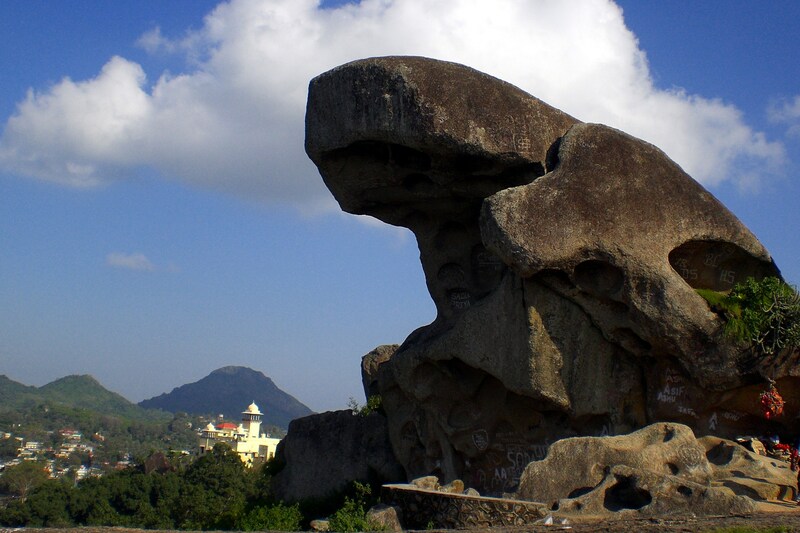 Toad Rock in Mount Abu is located nearby Nakki Lake in Aravalli Range from the main trekking trail. A massive rock structure that resembles the toad-like shape jumping into the Lake. It has a pleasant atmosphere and is suitable for trekking and rock climbing with a spectacular view of the lake and hills. It is said that it was named after British army officer Col Todd, who discovered Mount Abu. Some rare Toad Rock information is that the igneous rock that made up Toad Rock is six billion years old. Activities to do at Toad Rock, Mount Abu is Climbing during Day time, tent camp, trekking to 20-30 feet long rock and later in the evening enjoy camping with a scenic view of the lake from topmost of the hill. If you are the one who is planning to visit Mount Abu and is confused which hotel or resorts to accommodate then do not worry we have the best option for you that can make you feel stunned. Humming Bird Resort offers luxurious rooms and friendly hospitality services with plentiful amenities to use inside the premises from where Toad Rock is just 9 km away from so it takes less travel time than other hotel or resort.